– Metal Studio with the following equipment: bench vice, work tables for welding and metal works, forklift truck and separate Welding Room with MIG welding device. The command of the use of the machinery is required. The room is suitable for holding e.g. art courses, lectures and meetings. Room darkening is possible. Inside measurements: 64 cm (width) x 95 cm (height) x 69 cm (depth). The Studio is rented for one artist at a time. It is an eight-meter-high space with a floor space of 69 m2. The equipment includes a bridge crane (lifting capacity max. 2000 kg) and a forklift truck. 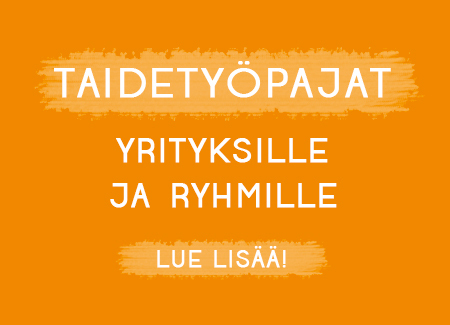 Studio can be rented for various kinds of events outside Mältinranta Artcenter opening hours for 50 € / hour. Studio is a 5,4-metre-high space with a floor space of 70 m2. Room darkening is possible. Office is open from Mon–Fri at 10 am–3 pm.